This was an easy custom to make. 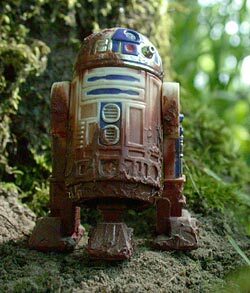 I added acrylic modeling paste to R2's body and legs to look like caked on mud. I also added some to the dome. Then I airbrushed brown paint over the paste and in a few other spots.